Google’s Photovine has exited the private beta stage. The hyped photography application, which remained in private beta for more than two weeks, officially landed in the App Store late last night. While the iOS App Store offers thousands of Photography applications, Photovine might be the most unique one. The app is centered around a social game, Vines, in which users post a picture along with a caption. Their friends then submit photos of their own that fall under the original caption. Google’s latest endeavor differentiates itself from the hundreds of other social photography apps by focusing almost entirely on networking, rather than photo storage or image editing. Users can also “tag” themes and topics to your photos for categorizing streams, and the app’s intuitive interface allows users to view the latest and most popular Vines. Photovine also allows users to privately message others, post images to both Facebook and Twitter, and import friends from just about any social network. 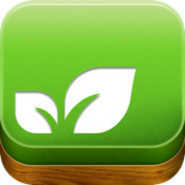 Photovine is compatible with all iOS devices and can be found for free in the App Store.